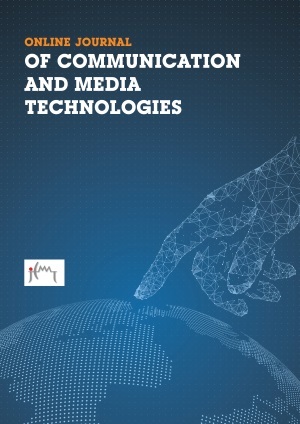 The Online Journal of Communication and Media Technologies (OJCMT) is an international open access journal, rigorously peer-reviewed journal in the field of Communication and its related fields. OJCMT is interested in research not only on Theory and Practice of Communication and Media Studies but also new trends and developments, Communication in Education, Visual Communication and Design, Integrated Marketing Communication and Advertising. OJCMT is published four times a year in January, April, July and October. Each article is reviewed by two blind reviewers from an internationally recognized pool of reviewers.